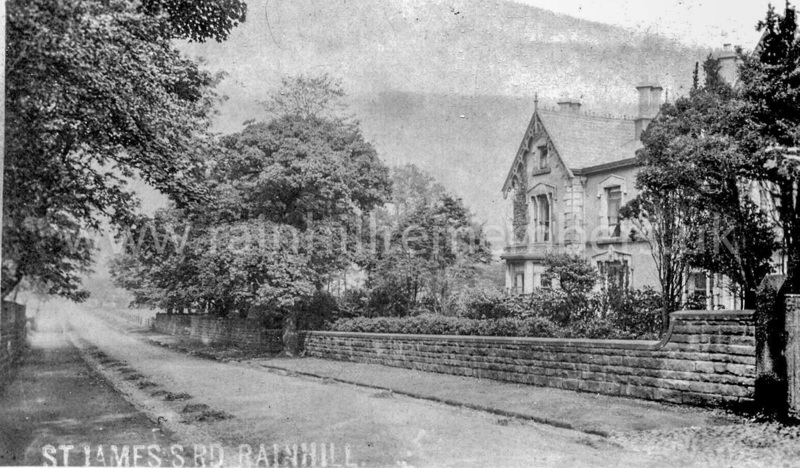 Oaklands was a large property situated in St. James Road and built by local business man Joseph Owen in 1851. Prior to the Great War (c.1911 to c.1914) it was owned by the Gamble family but occupied by the Taylor family. 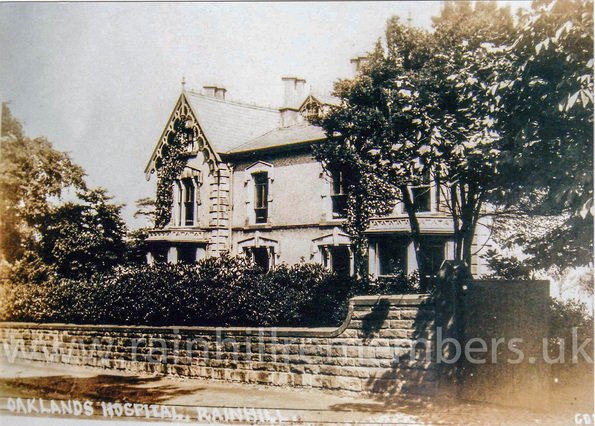 ​In 1917, the Gamble family offered Oaklands to the War Office as an Auxiliary Hospital. 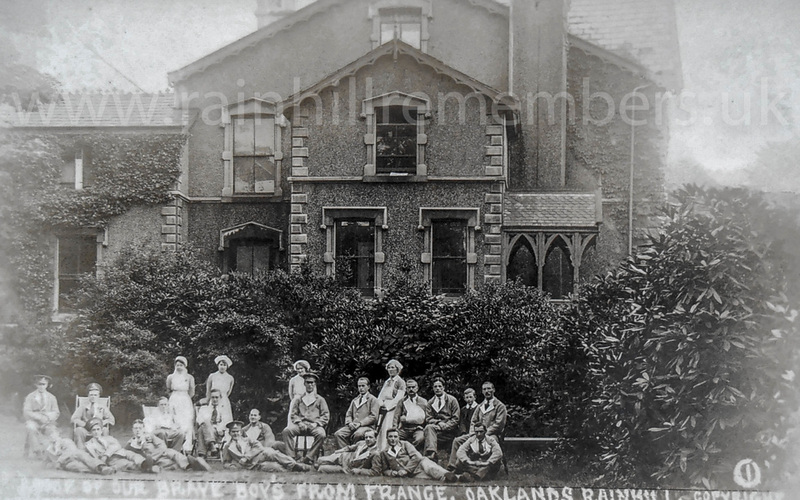 In the spring of 1917, Oaklands was opened with 40 beds as an annexe to Oakdene. 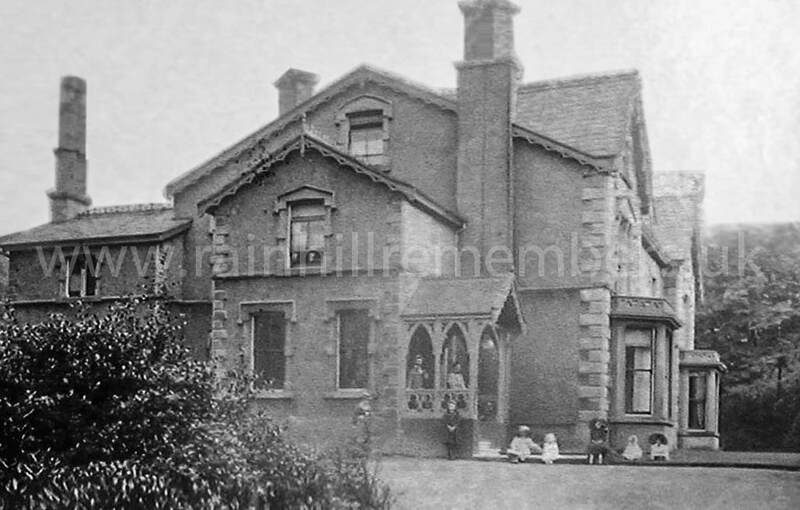 Mrs Bishop, who was the commandant at Oakdene organised the staffing with Voluntary Aid Detachment Number 40 and, ‘with the help of a few staff nurses, they managed to run these two hospitals with unqualified success’… ‘Oakdene and Oaklands were certainly hospitals where patients enjoyed themselves, yet discipline was carefully maintained. With the characteristic humour of the British Tommy. Oakdene where Sister Deane … was in charge was speedily dubbed “The Deanery”, whilst Oaklands under Mrs Bishop became “The Palace”. No fewer than 1,331 patients were treated at Oakdene and Oaklands during their four years’ existence. Eight members of V.A.D. No. 40 were mentioned in despatches and Mrs Bishop received an O.B.E. – a richly deserved decoration.